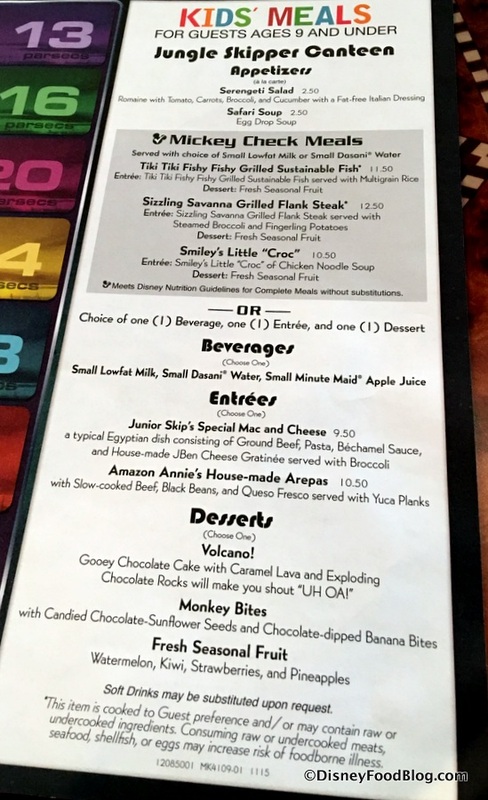 Skipper Canteen Photo Tour Including Menus! The Jungle Navigation Co., Ltd. Skipper Canteen is now in soft openings!! Located in the Magic Kingdom in Walt Disney World, right across from the Pirates attraction, guests are now being seated in one of three rooms. The official opening is set for Wednesday December 16, 2015! No word yet on if advance dining reservations will be accepted. Our thanks to Erin at Mad Hatter Adventures for these photos so we could bring you this first look! There is no alcohol on the menu at this time! There is also a kid’s menu available! You can check out a photo of that over at Disney Food Blog!